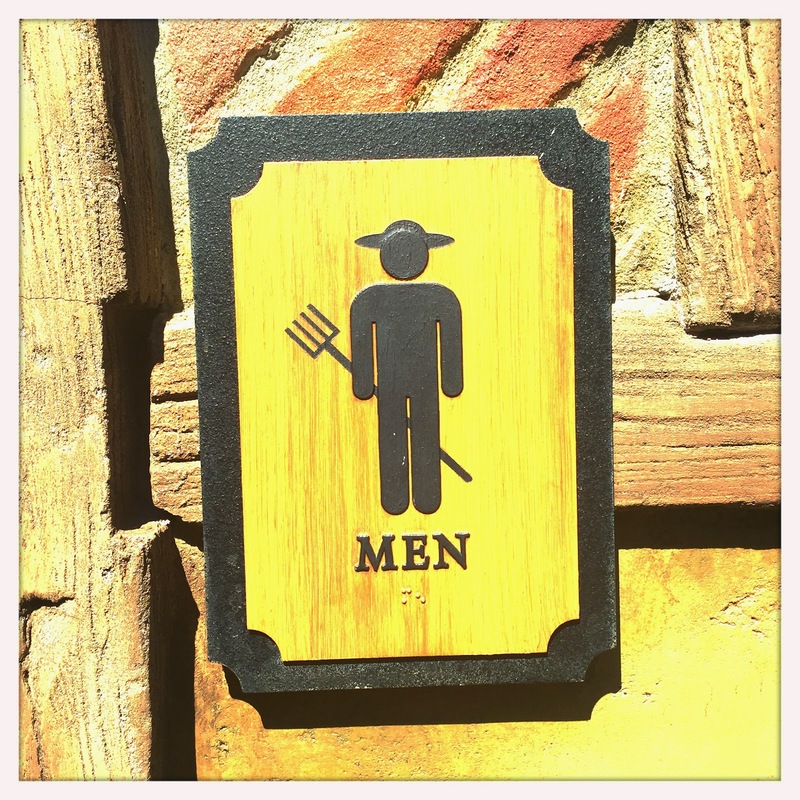 It's been a while since I've dedicated a post to bathroom signage, and even long since I debated the importance of well themed restroom designation. So scrolling through old vacation photos and coming across an adorable set doesn't riddle me with guilt. The only problem I have with them is that the woman isn't holding a baguette. I mean, that would be good theming right? We're in France of course, but also because the silhouette of a baguette is vaguely reminiscent of a big poo. Theming! 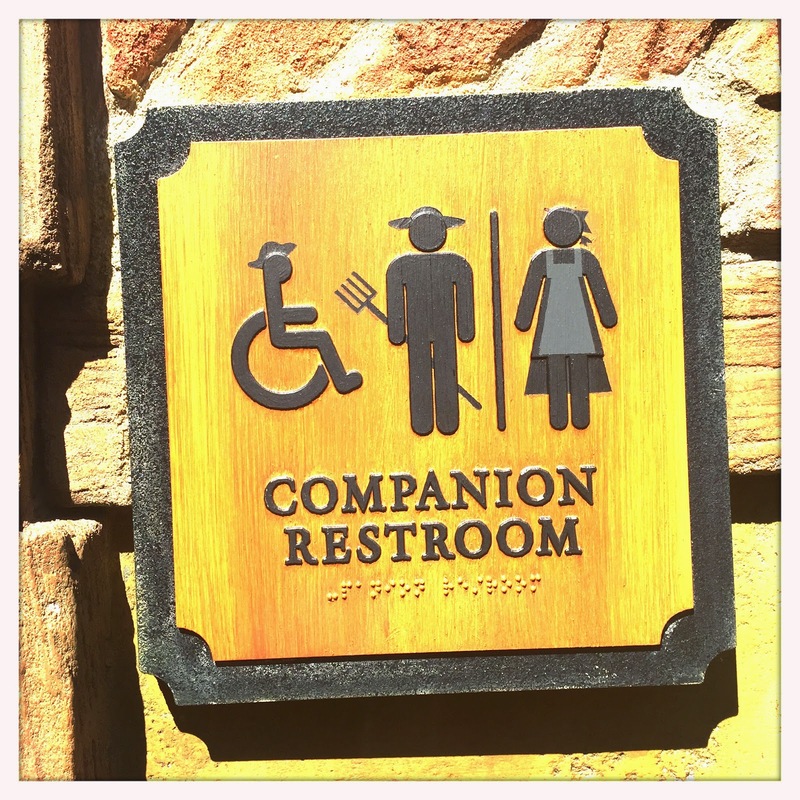 In addition to these signs, and the meet and greet, this little nook also has some gorgeous water fountains and one of the best music loops to come out in recent years. If anyone has this loop can you please send me in the right direction? This area jams so much charm into so few square feet its ridiculous. 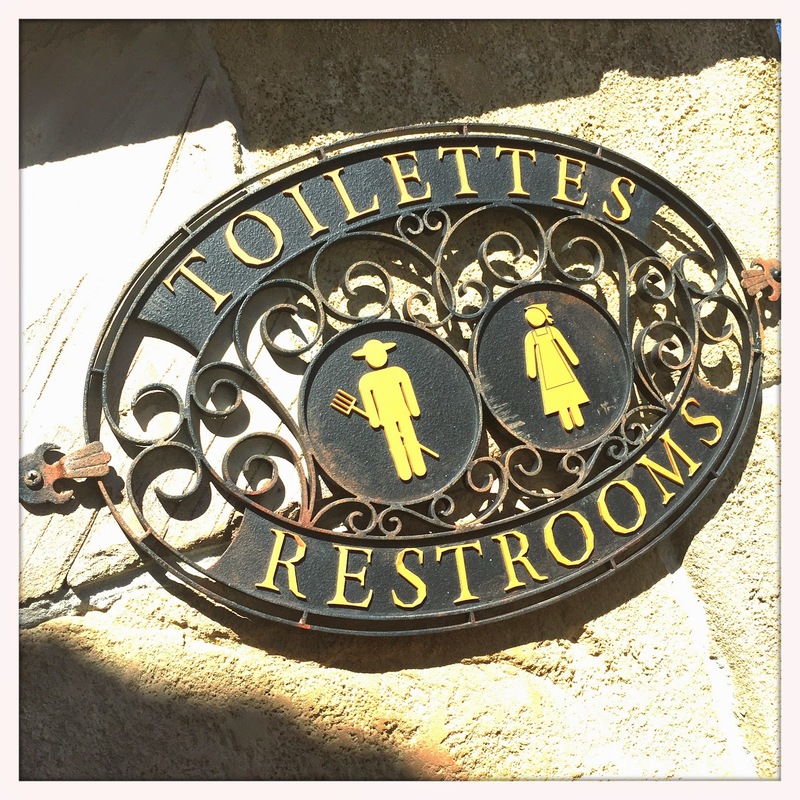 Do you have a favorite set of bathroom signs at Walt Disney World? Have you never even noticed them? Let us know over on Twitter or Facebook! 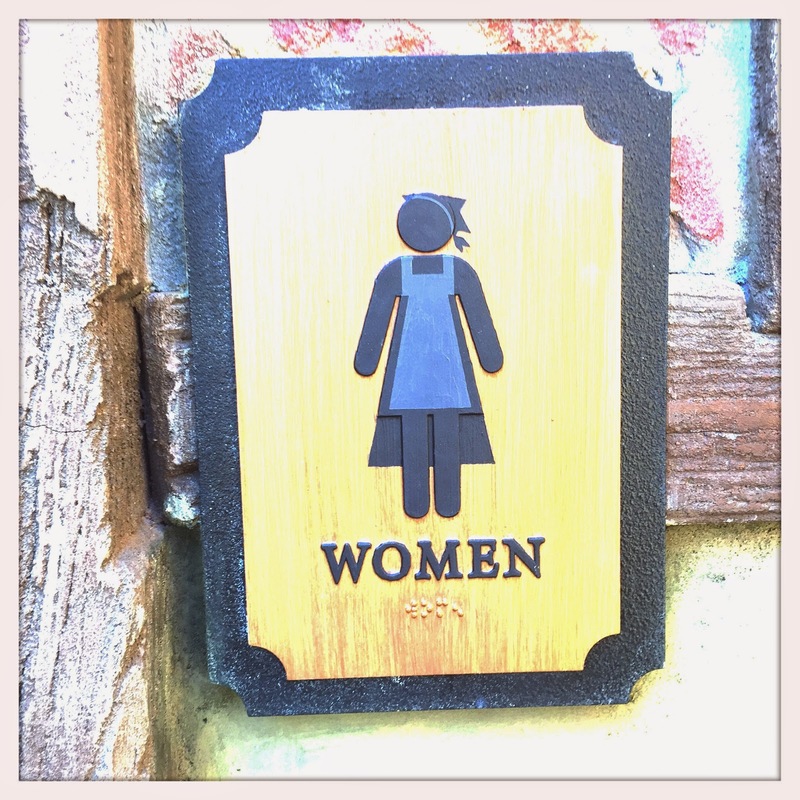 Or tag us in a photo of your favorite signs on Instagram!